Coming July 14 and 28, 2018. All the colors of the rainbow, and then some! 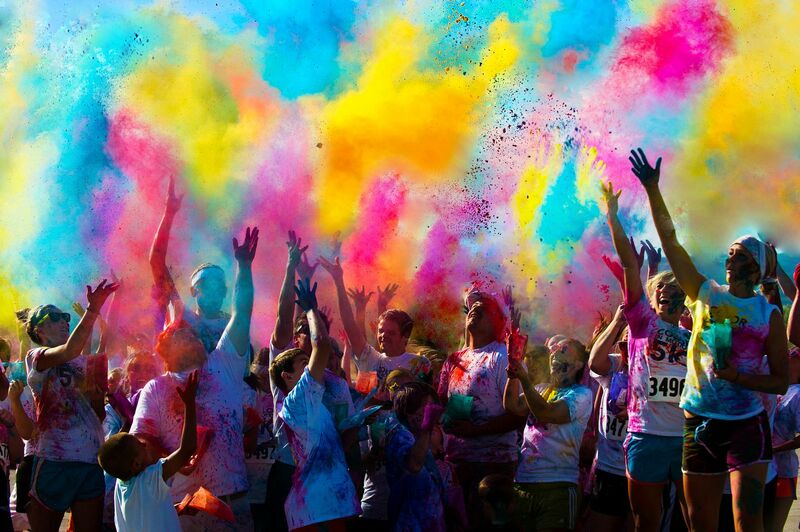 Join Color in Motion 5K for a colorful fun run in Tacoma, Washington or Colorado Springs, Colorado. Don a white tee shirt and run through the 5K course past 4 color stations with Mega Color Blasters where you’ll be doused with a cornstarch and food grade dye mixture. Though it’s completely safe and nontoxic, you may want to wear sunglasses or a kerchief to protect your eyes, mouth, and nose. The post-race party has more color, music, and this is your chance to let loose with the color packet provided to you at registration. Have a blast (of color!) at the Color in Motion 5K!